i graduated engineering in computer science stream with 70.47%. i am looking for a job, my career objective is to enhance and sharpen my skills in the latest technologies and to contribute with the knowledge of these technologies for the very best of the organization I am working with. 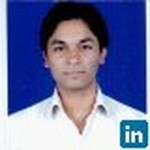 Join Today to follow and contact KUNAL ANAND.